The Hallowed Ones: authorly interview + lightning giveaway! 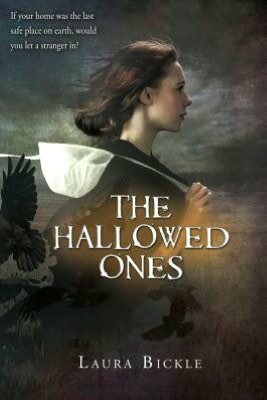 I've been so excited about THE HALLOWED ONES, the debut YA novel by author and pal Laura Bickle featuring an Amish heroine fighting terrifying vampires. And yesterday was her release day! And today she's here. CC: Laura, first, congratulations on the great reviews! All I hear is that it’s just riveting and scary and exciting and impossible to put this book down. LB: Thanks so much! I’m over the moon to hear that folks are enjoying it! CC: I think it’s interesting and dramatic that you have this Amish character, Katie, battling chaos and evil. Especially because I think of Amish settlements as places of great quiet and order, quite the opposite of chaos and monsters. LB: The chaos/order dichotomy is a key theme in the story. Katie is on the verge of her Rumspringa, the time when she can experiment a bit with the outside world. She wants to explore controlled chaos, the kind of exhilaration that we all want with pushing limits and determining what risks are good ones. It’s the bright side of chaos that makes us feel alive. Instead, the outside world is overtaken by chaos. Katie’s community is a safe haven, but she knows that evil and silence are waiting beyond her fence. She learns bit and pieces of the story of what happened, but can’t know for sure. And order does have a dark side. The Elders of Katie’s community fear contagion and declare that no one is allowed in or out of their land. Katie becomes aware of the constraints of order as she questions rules that disturb her own moral compass. CC: Do you have an attraction to spaces of order? LB: I think there’s something very comforting about order. I crave it, but rarely achieve it. I mean, my desk is a disaster area. CC: Is there something protective about Katie’s Amishness, or is it more about who she is? LB: Being Amish, Katie is a very quietly strong girl. Her background has given her a great deal of pragmatism and inner fortitude, and these are qualities she’ll need in order to survive. CC: They say that fiction is more honest than non-fiction in many ways. I think that’s true. What’s most honest bit in this book? LB: There’s a line that I love. It’s spoken by one of the older Amish women as she and Katie take on some difficult, gruesome tasks: “God smiles upon those who quietly do His dirty work.” The underlying lesson for Katie is that one’s actions prove one’s character. CC: Are you surprised by how people find THE HALLOWED ONES super scary, or did you go for that? LB: I did intend for THE HALLOWED ONES to have a traditional horror vibe. Katie has to do some tough things because no one else can or will. 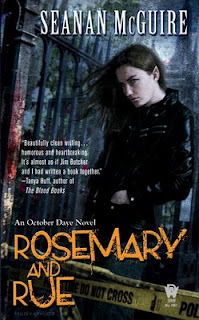 I wanted the violence to have a purpose in forging a strong heroine…so I don’t recommend it for the easily-squicked. The creatures that Katie must battle are nasty monsters. They want to devour pretty much everything they touch. I think that there’s something atavistic about the fear of contagion and of death, and I wanted Katie to feel that fully. CC: As a fellow animal lover, I think you’ll understand why I’m asking this question: Katie raises puppies to make spending money. Do any dogs or puppies get hurt? LB: Gah! No. If I even contemplated it, I’d be smothered to death by the cats that own me. CC: Ravens figure into this tale. Can you say a bit about that? LB: As an Amish girl, Katie is very connected to the natural world. One of the first signs she receives that something has gone terribly wrong in the world is the ravens – they leave in a great, thunderous black cloud. There’s a legend about the Tower of London…that if the ravens ever leave, then the kingdom will fall. As a result, there are some ravens that are kept there with their wings clipped. But it makes you wonder if there’s something the animals know that people don’t. CC: Does this series follow your heroine, Katie, through all the books, and how many do you have planned? LB: There will be two books. 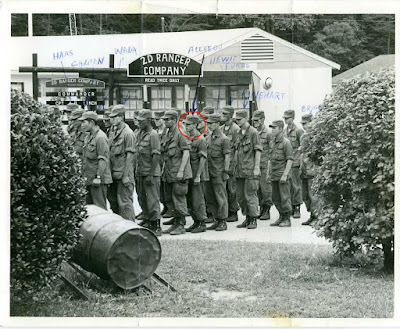 The second one, THE OUTSIDE, is also told from Katie’s perspective. It will be released by Houghton Mifflin Graphia in spring 2013. More about the book here. Excerpt here. Up for grabs: one copy of THE HALLOWED ONES, (print or ebook); print available wherever the Book Depository ships (which I believe is the whole world, so international) or in digital form, from the vendor of your choice, assuming they have a way to give it as a gift. Your email should be on your comment or I should be able to click to it from your name. To be entered, you must make a real comment on the interview or answer this question: What about you would a scary vampire have to fear most? Contest ends Thursday morning CST a few minutes after I turn on my computer. I think an Amish heroine is very unusual and very interesting. I wasn't sure about such a heroine, even though I've enjoyed Laura's other books, but after reading the excerpt, I'm all in. I can't wait to read The Hallowed Ones. Laura: So happy to have you! Sounds like a great book. An Amish heroine sounds like a fresh twist. A vampire would have to be afraid of my sweetness. I appear to be sweet and meek, harmless really. Then he would be shocked when my claws came out. Have to say I've read the Hallowed Ones and loved it! Congratulations on a terrific read. 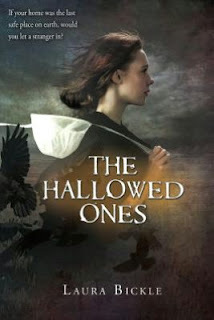 I'd love to win a copy of The Hallowed ones. Haha I'm a redhead...need I say more?